Princess Ingrid Alexandra is set to be Queen of Norway and the country’s head of state some day, but on Tuesday she was said to be planning a birthday party at home with her friends and family, just like most other children. As usual, Royal Palace staff and her parents were keeping tight control over media coverage of the princess’ 10th birthday, and only released photos of their own choice, apparently taken last summer. Norwegian newspapers and TV stations used to be called in to take their own photos of the royals, but since the day she was born, Crown Prince Haakon and his wife, Crown Princess Mette-Marit, have done their best to shield their offspring from the media. Mette-Marit even slipped out a back door at Norway’s national hospital with the new royal infant back in 2004, while her husband kept the press busy with his own description of the birth. The only photo immediately released of Norway’s new princess was taken by Haakon himself, and published when he chose to do so on social media. On Monday the Royal Palace released new official portraits of the girl who’s destined to be Norway’s first female heir to the throne in centuries. It was only after the current monarch’s children (Haakon and his older sister Princess Martha Louise) were born that the law changed in Norway to allow for the royal succession to go to the first born of the current monarch or the next in line, regardless of gender. When Haakon was born in 1973, two years after Martha Louise, he usurped her succession rights to the throne. Now his daughter is the heiress, ahead of her own younger brother, Prince Sverre Magnus. Flags were flying on public buildings in Norway to celebrate the princess’ royal birthday, and the canons at Akershus Fortress and Castle in Oslo were expected to boom at noontime, with more royal salutes made around the country. Norwegian Broadcasting (NRK) reported that the princess was awakened with cake and gifts in bed, in line with tradition at her family’s royal residence at Skaugum in Asker, west of Oslo. Newspaper Aftenposten reported that the day would be celebrated with her family and her own children’s birthday party, but a palace spokeswoman wouldn’t reveal any more details. 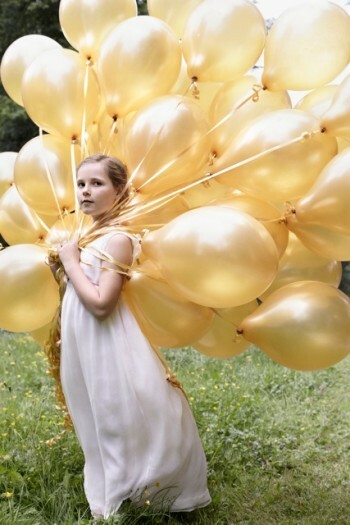 The photos released of Princess Ingrid Alexandra (external link, in Norwegian) were taken by top Norwegian photographer Sølve Sundsbø, who also has taken photos of such celebrities as model Kate Moss and actress Scarlett Johansson, and had major assignments for Vogue magazine and fashion houses Chanel and Hermés. The princess herself has, in her first interview with NRK, complained that it’s “boring” to be photographed and one of her least favourite aspects of royal life. Other aspects of royal life, she said though, can be rather fun. She’s already been “on the job” making appearances on the palace balcony, at the Holmenkollen Ski Festival and World Cup competitions, on the 17th of May national day and at other public events. She attends the local elementary school near her home in Asker. Royal duties won’t seriously begin until she comes of legal age in Norway, in eight years.